On 15 December 2015 British astronaut Tim Peake blasted off aboard a Soyuz rocket to spend six months in space. Tim left the earth behind to conduct a series of scientific experiments, take part in a dozen research activities and, of course, inspire and educate youngsters across the UK and the world. Orbiting 250 miles above the earth, and at a speed of over 17,000 mph, the International Space Station (ISS) is an amazing feat of human engineering. Only five British-born people have visited the ISS prior to Tim and he is the first ever British European Space Agency (ESA) astronaut to live and work there. That’s why our client, the UK Space Agency, were so keen to share Tim’s mission with the world and called on DESIGN102 for help. When Tim was first assigned his mission, the ESA asked the public to decide on a name for it. 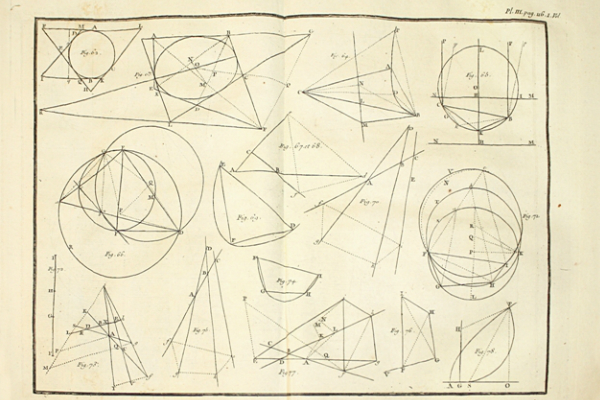 Principia was chosen and refers to Isaac Newton’s world-changing three-part text on physics. The BBC’s Blue Peter TV programme then asked schoolchildren to design a mission patch for Tim and received more than 3000 entries. 13-year-old Troy Wood’s design was chosen. 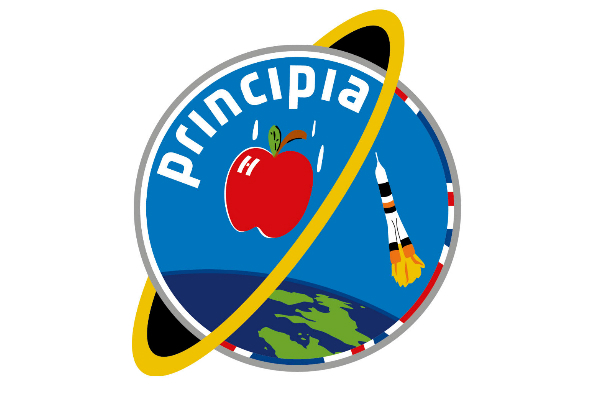 The Principia mission insignia was designed by 13-year-old Troy Wood and features Isaac Newton's famous apple. So, the mission now had a great name and insignia – but what next? That’s where designers Jon Gulbrandsen and Kat Garner were able to help. The designers used Isaac Newton's Mathematical Principles of Natural Philosophy as inspiration for their work. 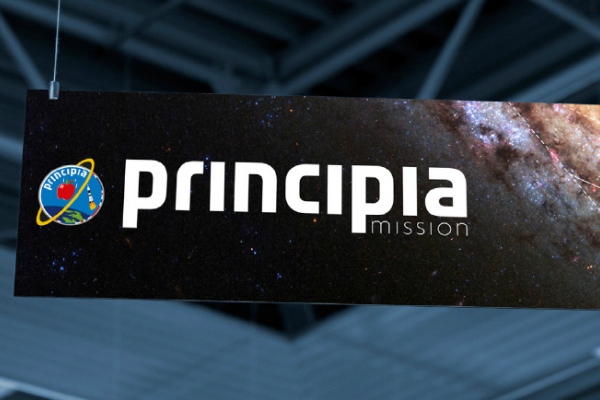 Kat and Jon designed posters, t-shirts and videos as well as working with award winning web developers to help deliver the Principia mission website. DESIGN102 also developed brand guidelines to help ensure consistency across all Principia communications. Tim’s launch to the ISS went off spectacularly, generating a huge amount of support from the public and attracting wide ranging media covering. The mission website and suite of materials designed by Kat and Jon certainly played a part in this and really helped bring the mission to life for those left stranded on earth. The team at DESIGN102 are continuing to work with the UK Space Agency and you can take a closer look at Jon and Kat’s work on the Principia mission website and online at www.design102.co.uk.